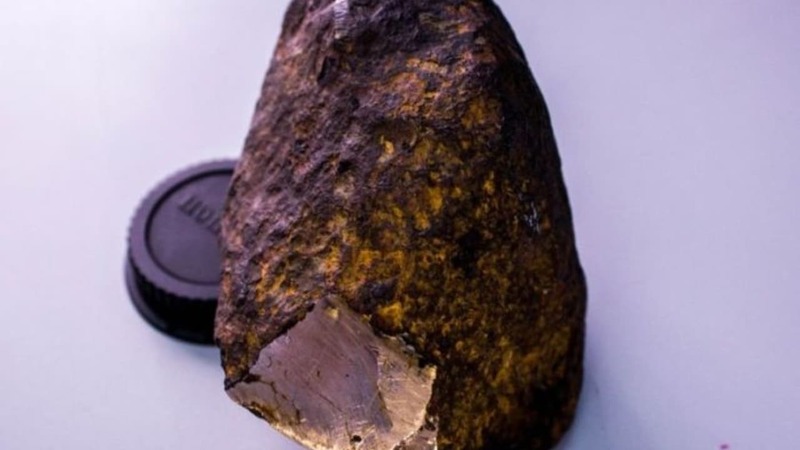 In 2016, a group of gold-hunters thought they won big with a shiny yellowish rock they lifted in the Uakit regions of Eastern Russia. As it turned out, the rock was found to be a lot more valuable and rare than even the gold-hunters could have imagined. Scientists have found evidence of minerals contained only in meteorites, one in particular discovered for the first time on Earth. They've coined it 'Uakitite', after the region in Siberia, where the meteorite was first discovered in 2016. On examining the rock under a microscope, researchers noticed grains of the newly identified minerals that were unusually tiny at just 5 micrometers – 20 times smaller than the diameter of human hair. "Unfortunately, we failed to obtain all physical and optical properties of uakitite because of the very small sizes of the grains," wrote Victor Sharygin, lead researcher and geologist at the Institute of Geology and Mineralogy, in an article that was presented at the Annual Meeting of the Meteoritical Society in Moscow. However, there were still remarkable findings in their study. The largest chunk of metal in the meteorite – about 90 percent of it – was good-old iron, far from an unusual find in Earth's rocks. But the iron found in the meteorite was mostly in an iron-nickel alloy called kamacite, which made up 98% of the rock. Kamacite is a mineral that has only ever been sampled from meteorites till date. The other 2% was a mix of a dozen other minerals – most of which are equally foreign to those found on Earth. Using a technique known as electron backscatter diffraction to understand the chemistry of the rock, researchers uncovered the structure of uakitite, which they describe as remarkably similar to two other space-forged minerals: one called Carlsbergite, and another, Osbornite. The Uakitite in the meteorite also shares chemical groups (specifically, nitrides) with these space-forged minerals. The composition and minerals contained in the rock indicate that it was likely forged and formed under temperatures close to 1,000°C. While the mineral's discovery has been a fundamental and profound discovery in itself, the association of uakitite to meteorites as its source is yet to see conclusive evidence, with a combination of advanced technology and a couple of samples from other meteorites to compare – the latter being far harder to come by.